Proactive Support or Managed Services can solve many problems in your business, while at the same time opening up a world of growth and cost-saving opportunities. This eBook explores six specific ways your business can benefit from outsourced IT management, with an emphasis on helping you compete and innovate. 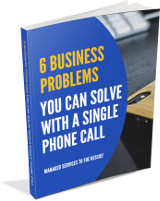 We have written a free eBook that explains how you can solve 6 problems and improve your businesses growth. Click here to subscribe to our monthly newsletter and access your copy of this book – don’t worry we won’t share your details and you can unsubscribe at anytime. If you are already a subscriber and would like a copy please email david@dpcomputing.com.au. You will also receive a free copy of our other great eBooks including the following so sign up now! 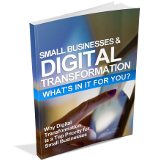 Digital Transformation – What’s In It For You? 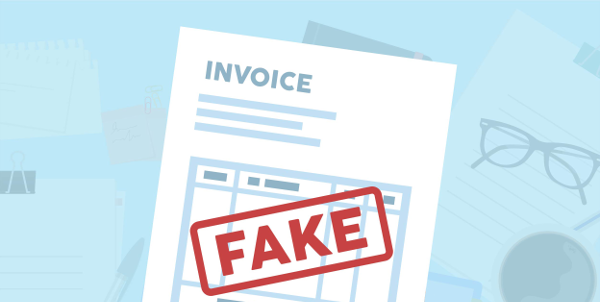 Businesses around the world are being targeted with a cyber-attack that sends victims a fake invoice that looks real enough to fool to most people. It is based on an old scam that used to see invoices faxed or mailed to the victims and now it has made its way into the digital world and instances are on the rise. You may have already seen some of the less effective attempts – an email advising your domain is expiring (except it’s not from your host and your domain is nowhere near expiration) or others that describe a product or service you would never have purchased. The new attacks though are much more advanced as they look completely legitimate and are often from contractors and suppliers you actually use. The logos are correct, spelling and grammar are spot on and they might even refer to actual work or products you regularly use. The senders name may also be the normal contact you deal with at that business as cyber criminals are able to ‘spoof’ real accounts and real people. While it is worrying that they know enough about your business to wear that disguise so well, a successful attack relies on you not knowing what to look for. This style of fake invoice either explicitly states that the payment should be made to a certain account (perhaps with a friendly note listing the new details) or includes a payment link direct to a new account. Your accounts payable person believes they are doing the right thing by resolving the invoice without bothering you and unwittingly sends money to a third party. The problem may not be discovered until an invoice from the real supplier comes in or the transaction is flagged in an audit. Due to the nature of international cyber crime, it’s unlikely you’ll be able to recover the funds even if you catch it quickly. Rather than an immediate cash grab, this style of attack asks your employee to click a link to download the invoice. The email may even look exactly like the ones normally generated by popular accounting tools like Quickbooks, Xero or MYOB. Once your employee has clicked the link, malware is downloaded to your systems that can trigger ransomware or data breaches. While an up-to-date anti-virus should block the attack at that stage, it’s not always guaranteed (especially with new and undiscovered malware). If it does get through, the malware quickly embeds itself deep into your systems and often remains silent until detected or activated. Awareness is key to ensuring these types of attacks have no impact on your business. As always, keep your anti-virus, firewalls and spam filters up to date to minimize the risk of the emails getting through in the first place. Secondly, consider implementing a simple set of procedures regarding payments. These could include verifying account changes with a phone call (to the number you have on record, not the one in the email), double checking the invoices against purchase orders, appointing a single administrator to restrict access to accounts or even two-factor authorization for payments. Simple preemptive checks like hovering the mouse over any links before clicking and quickly making sure it looks correct can also help. If anything looks off, hold back on payment / clicking until it has been reviewed. 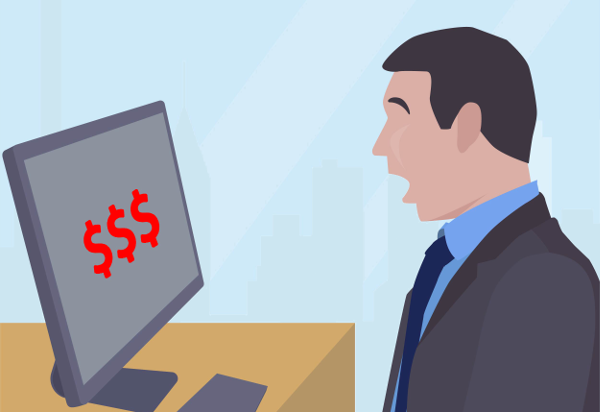 Fake invoices attacks may be increasing, but that doesn’t mean your business will become a statistic, especially now that you know what’s going on and how you can stop them. As you know computers always break at the worst possible time, but what things can actually cause that that failure? It is easy to think it was something you did at the time of the crash, but normal user actions are rarely the cause of the issue. 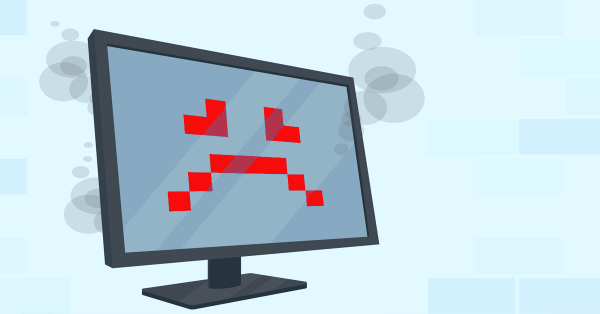 In this blog post we list some of the real reasons for a computer crash. People drop their laptop or spill things on their systems. Liquid damage is a big problem with spills the main cause – this could be anywhere from a spill on the keyboard or even a flood that reaches the computer. Laptop users need to be really careful when putting down their systems – surfaces can often have small puddles (especially cafes and kitchen tables). If you are lucky and the liquid didn’t fry the circuits and ongoing corrosion is likely. A dropped or knocked computer isn’t going to be happy. Even a light bump can cause loose cables, disconnections and internal damage. Computer parts have an expected lifetime, especially moving parts like fans or mechanical hard drives. Some computers can run 24/7 for up to a decade, while others can be barely used but fail within warranty. When age is the issue there are usually early warning signs like extra noise or slowing down, but the actual ‘break’ generally happens when you go to turn the computer on, perhaps after a crash or overnight – either it makes a valiant effort before giving up, or nothing happens at all. Sometimes lasting age is the luck of the draw with how it was manufactured, and quality does play a big part in how long it can keep churning. Computers are very sensitive to both surges (too much electricity) and brownouts (not enough electricity). Some indicators of power issues are when the lights are dimming or flickering (during a brownout) or glowing just a tad too strong (during a surge). These variations usually last long but they can easily break your computer. A surge protector can guard against mild increases in voltage, but brownouts and strong surges can still cause damage unless a high end UPS (Uninterruptible Power Supply) is used. Overheating is a big contributor to a computers death. The insides of a computer runs hot and they need plenty of cooling to keep them working optimally. You might not feel it from the outside, but internal components can rapidly build up heat that needs to dissipate. When fans and vents get blocked with dust the temperature continues to rise and components can bake themselves to failure. When the computer reaches a certain temperature the computer will automatically switch off (to try and cool down), however the more times this happens, the more likely your computer is to die. Your data is stored on a hard drive and if you have a mechanical hard drive (most people do), it works a bit like a record player with a spinning ‘platter’ and a needle that reads it. General usage, small bumps, liquid, age, surges and overheating can all trigger hard drive failure. As well as making your computer unusable, hard drive failure means your data is also lost. While sudden breakage might leave you surprised, take note of any strange noises or repeated crashes and always back up your data. Like a car, your computer needs to be serviced regularly. We can check your computer to make sure it is running right and will keep on working for you. Give us a call at 08 8326 4364 or drop us an email at support@dpcomputing.com.au.